Small, slender creeping herb, often longer than 40 cm. Leaves simple, orbicular-reniform, margin crenate, 2-5 cm in diameter; petiole 2-4 cm long, up to 10-12 cm on the sterile branches. Inflorescence an umbel, solitary or fascicular, axillary. Flowers in cluster of 1-5, small, whitish or reddish, subsessile. Fruit sub-orbicular, compressed, 3-3.5 mm in diameter; mericarps reticulate, with several ribs. 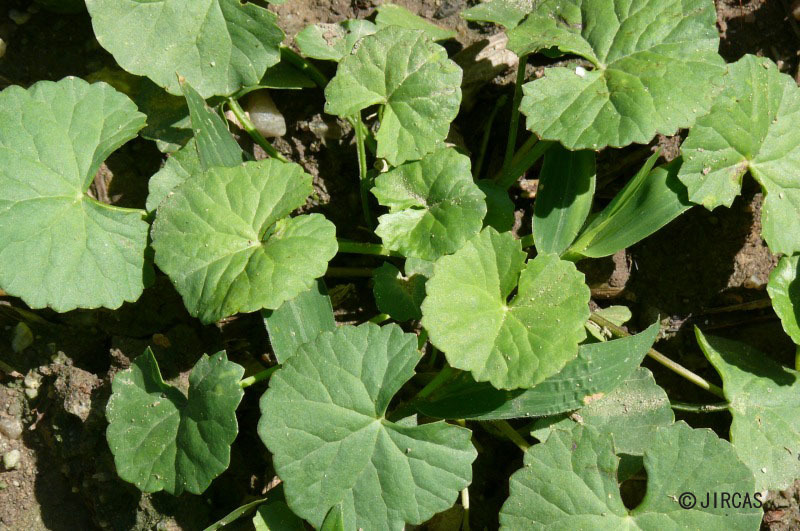 Common weed in wet areas and shady open spaces. 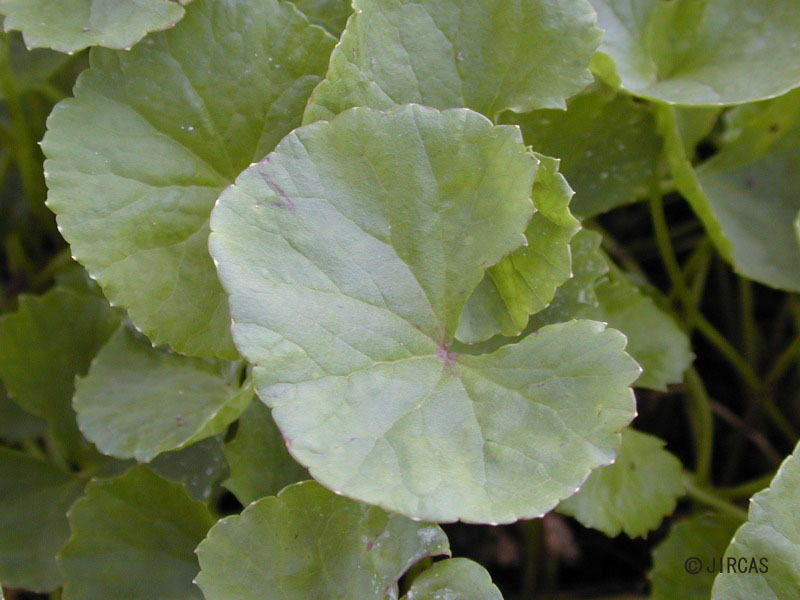 Asiatic pennywort is sometimes grown for as vegetables in small scale. The fresh leaves taste slightly bitter and are eaten with northern food such as sour chopped meat salad or fried noodles. The green juice extracted from the leaves is very rich in vitamin A and is commonly taken for heat-burn after being boiled in water with sugar. The fresh plants are a febrifuge, diuretic, antisyphilitic, astringent and expectorant, and can be used to soothe headaches or burns. This plant is easily propagated by runners. They prefer wet soil and shady area.